So I had the money ready and over 2/3 weeks I created a large spreadsheet with links to adverts. This had Specs, Age, Mileage, Condition, Previous owners, Make, Model. 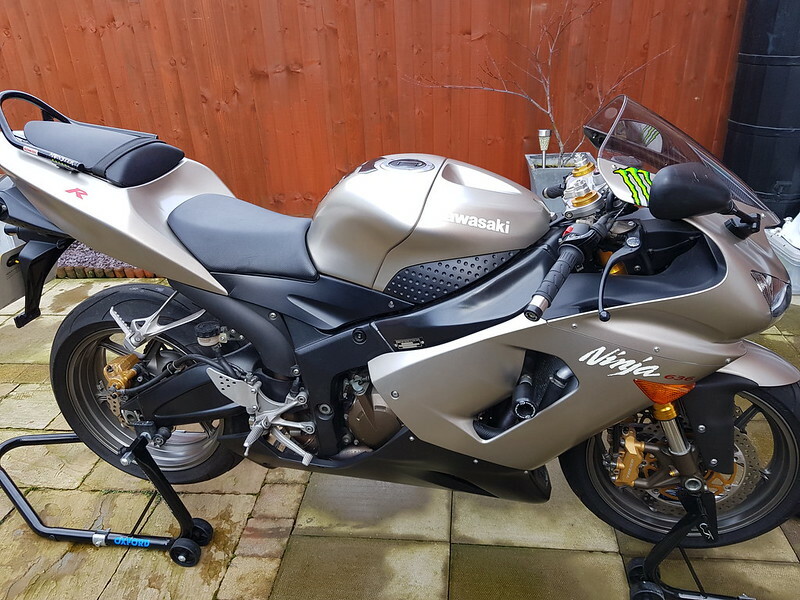 I was originally looking for a CBR600RR but they had so many miles/Owners/ conditions poor & Mot reports with more advisories than I wanted. I arranged to go see a bike on Sunday the 4th of Feb 2018 but had a guy in the morning come back to me on this ZX6R. This bike was only in Alfreton (Me being in leicester) was only 45minutes up the road so I arranged to go see this ASAP. The bike has no MOT but never had a advisory in its life and only covered a good hundred miles over the past 2 years. The gentleman was in the Army so was deployed and having a recent little girl never had chance. It was originally up for £3000 but managed to get it at a bargain £2600. The bike itself is a Ninja ZX6R 2007 C6F with 11527 miles on it. 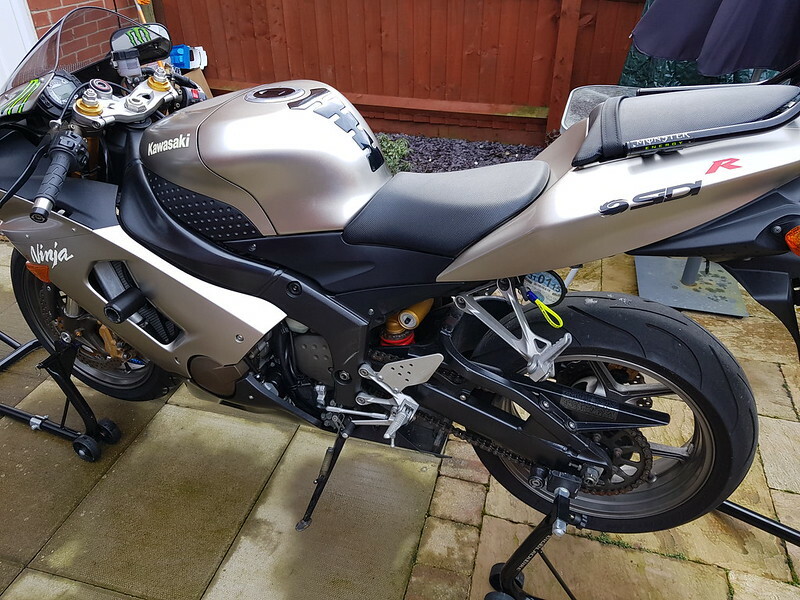 The bike it self looked in fantastic collection so it was loaded into the brother in laws Renault traffic and brought to its new home. plus a LOT More but will not give away everything. 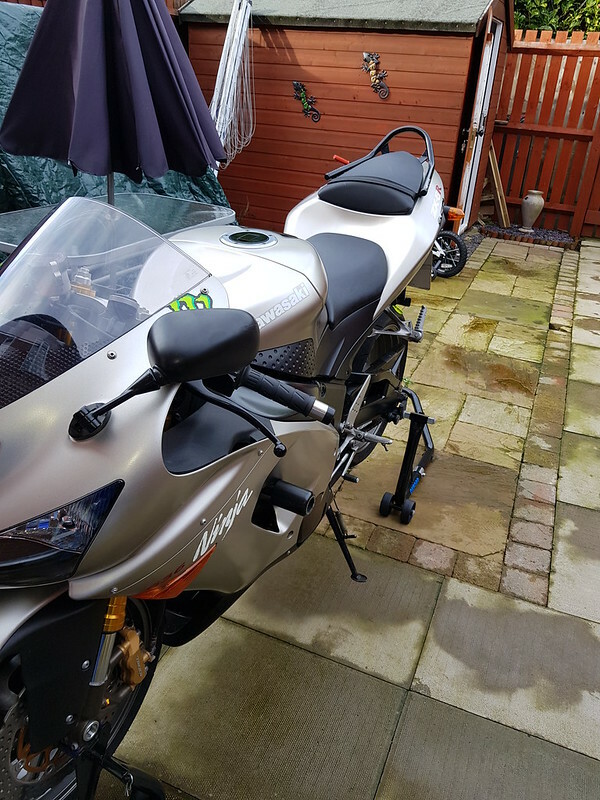 I am hoping to attend a lot of BSB,WSB & Motogp(Tickets ordered) on the bike aswell as even enter it into wax stock as something different and other shows. Applications for sponsorships have been sent to 3 different companies so hopefully they come back to me. I am very brand orientated which you will see with this bike and loyal. Thats it for now & if you have read this so far thank you very much! Last edited by Alfieharley1; 13-02-2018 at 09:09 AM. Love it Sam. I was close to going for one of these myself for a track bike. If it's anything like my old J1 the induction noise on the throttle will be awesome! Great price too - looking forward to the updates. Looking forward to this, now subscribed. Lovely jubbly, oh how I wish bikes like yours had been around in my younger years, then again, I'd probably have been six foot under by now. I would get the Abba Stands for it, they are much better than paddock stands, easier to use and a lot safer than paddocks. Or if you want to work on it and save yourself bending over and lying on the floor all the time the Abba Sky lift and you can raise the wheels 3 foot in the air. They really are worth the money, you can leave them on the stand and lift 24/7 this is really good if you leave for long periods at a time without moving the bike as the tyres might get a flat spot and also takes the pressure off the suspension too. Last edited by Mad Ad; 13-02-2018 at 01:01 PM.